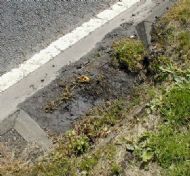 Blocked drains make driving hazardous. The surface water on many of our roads has been simply incredible and on some stretches it has been like driving through a paddling pool. Roads have been with us now for quite some time and one would think that we would have sussed out how to keep them in good condition; a camber towards the edge of the road, a gully to take excess water into a drain or a ditch and there it is …simple, the Romans could do it successfully, the Victorians were adept at it so where have we gone wrong? 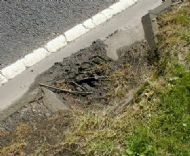 A look at the conditions on our highways gives part of the answer, gutters which are no longer swept regularly, which allows dirt to accumulate and weeds to thrive slowing down removal of surface water, drains which are allowed to become blocked, again, slowing down drainage. 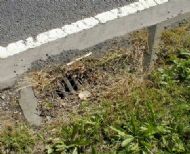 If you are in any doubt about the diabolical state of the drains in the area check out the Selkirk Community Council website (www.selkirkcommunitycouncil.co.uk). 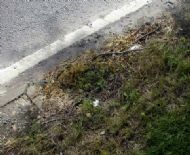 Last year our council photographed and made representation to the contractors BEAR about the then state of the drains in our area and they were subsequently (not immediately) cleared. I have to report that the above danger signals are again present. The contracts for the upkeep of our roads is huge - and presumably very profitable to the companies concerned – so why does it have to take ordinary citizens to keep them on the ball? Some years ago a friend of mine and his family just about died when their car aquaplaned off the road during heavy rain and finished upside down in a field. Will there have to be a tragedy to highlight the conditions we now are forced to drive in? In the meantime I advise drivers to make sure their tyres are in good condition and keep their speed down in heavy rain. 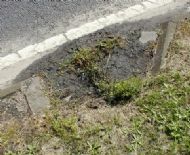 Here are a few example of the blocked drains which are causing the problems of water lying on the road referred to by Jim Gibson.